Demographics: What are the demographic characteristics (age, gender, education level, occupation, income level, or marital status) of this persona? Values and Engagement Style: What does this person value? How does he or she make decisions? Experience and Content Preferences: How does this person like to interact with your organization and with others? Does he or she prefer to engage with specific content or in a specific way? Key Goals and Considerations: What does this person have to do, need to do, and want to do? If your organization doesn’t have personas, get your team involved in a brainstorming session to surface answers to the criteria above. Think about it as an agile, lean approach to gathering information about your customers. Then, talk to your users and gather analytics data to test your hypotheses. Journeys are mindset touch points a single persona will move through during the course of their relationship with your company. They help you determine where your customer is in the journey and what their needs and interests are. Journey maps result in stronger conversations and decision making. At each stage in his or her journey, there will be key objectives, events that trigger the interaction, desired content or functionality, and channel preferences. You can see how the differences in mindset require different experiences, even from the same persona. This exercise helps you identify the variety of engagement styles, content, and channels that are most likely to move your customers through the journey to greater engagement with your brand. It also adds dimension to your personas. What specific action do you want the persona to do next? These are your business goals. Let’s refer back to journey mapping. In the Awareness stage, you might want your customer to become educated and be able to relate to your brand. Your goal is to get them to contact you directly to begin the sales process. With a better understanding of your personas, journeys, and goals, you are able to translate personalization efforts into simple, clear tests. Stay tuned for our next blog on personalization – Using Attributes and Triggers to Personalize Content to Meet Your Goals. 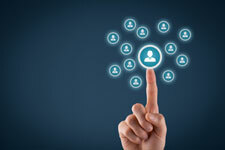 How are your personalization strategies working? We’d love to hear how it’s going.